WENATCHEE – Just look up. That’s all nearly 200 Red Crossers gathered here had to do earlier this month to underscore that disaster can occur anytime, anywhere. On the second day of the American Red Cross’s Northwest Disaster Institute – with volunteers and staffers fully engaged in an array of preparedness courses – smoke from a raging wildfire billowed over the hills just north of this Central Washington fruit capital. The blaze continued to burn for several days, a stark and real-world reminder that wildfire is a constant threat hanging over the Northwest’s expansive forests and dry lands, just as floods, earthquakes, landslides, fire and tsunamis threaten coastal regions. Being ready to meet the needs of a suddenly devastated community or even a single family is what brought the Red Crossers together. “There’s a constant need for continuing education and keeping abreast of all the resources the Red Cross has to offer,” said Donna Winters, who attended the institute with her husband, Rod. The Whidbey Island couple are volunteers for the Northwest Washington Red Cross Chapter and conduct frequent preparedness workshops in their community. As temperatures outside hovered at well over 100 degrees, the Winters and all institute participants at the four-day Wenatchee Valley College gathering had an array of courses to choose from to help build disaster response capacity in the region. While undertaking new initiatives to insure equal access for every single member of a community impacted by disaster – particularly by developing the sensitivity to those with special needs that could otherwise go unrecognized in the throes of a disaster – the Red Cross is also working diligently to broaden the knowledge and skills of its 2,800 volunteers in the region. Numerous Red Cross staffers from the region took part in the institute as the organization develops its leadership pool and strives to improve disaster operations and service delivery. Among the challenges staffers addressed is managing volunteers spread far and wide, keeping volunteers themselves prepared and maintaining effective communication, particularly with volunteers in remote locations. While much of the focus was on how to effectively work with local, tribal, state and federal agencies, and the intricacies of Red Cross internal reporting and recording requirements for people, goods and services, attendees also learned a little about pillowcases. The Red Cross Pillowcase Project is designed to teach kids how to make their own emergency supply kit and stay calm in an emergency. 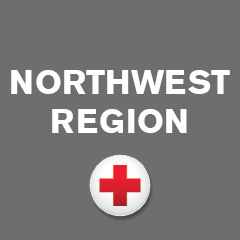 As the Northwest Region continues to develop its core mission of preparedness, response and recovery, Jamie Bunn, a recently minted volunteer with the Snohomish County Red Cross Chapter, spent several hours learning the ropes of intra-government operations during disasters. “I began volunteering a few months ago and this is a good opportunity to learn how the Red Cross responds and handles disasters,” he said. Northwest Region CEO Alex Dieffenbach oversees the Red Cross regional staff of about 65 employees and works closely with seven local chapters, said the fire that burned in the hills during the institute was an apropos reminder that emergencies are ever-present and Red Crossers ever-ready. When the next disaster strikes this region, there are nearly 200 Red Crossers who emerged from the institute equipped with new strategies, the latest in procedures and increased diversity awareness ready to meet the challenge. Join the Red Cross! We’re always looking for Disaster Response Volunteers.